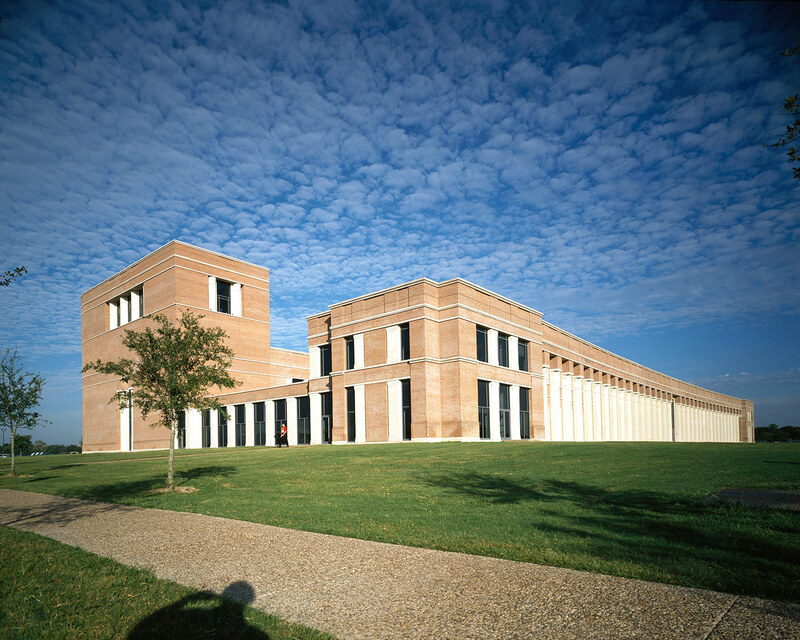 Situated on the Rice University campus, this first-class performance and teaching facility has been a catalyst in the Shepherd School’s rise to excellence. 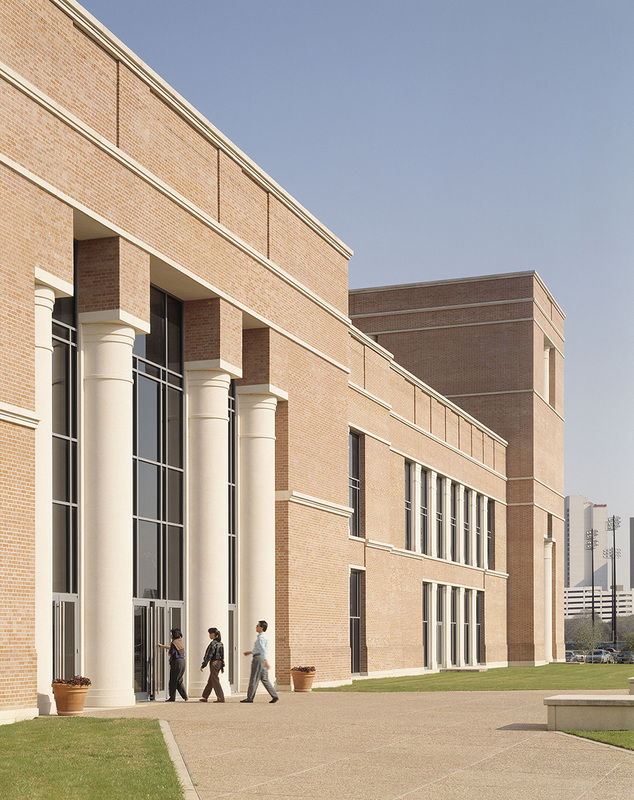 The facility includes a 1,000 seat concert hall, a 250-seat recital hall, a Grand Organ hall, an opera studio, 65 practice rooms and 54 teaching studios. 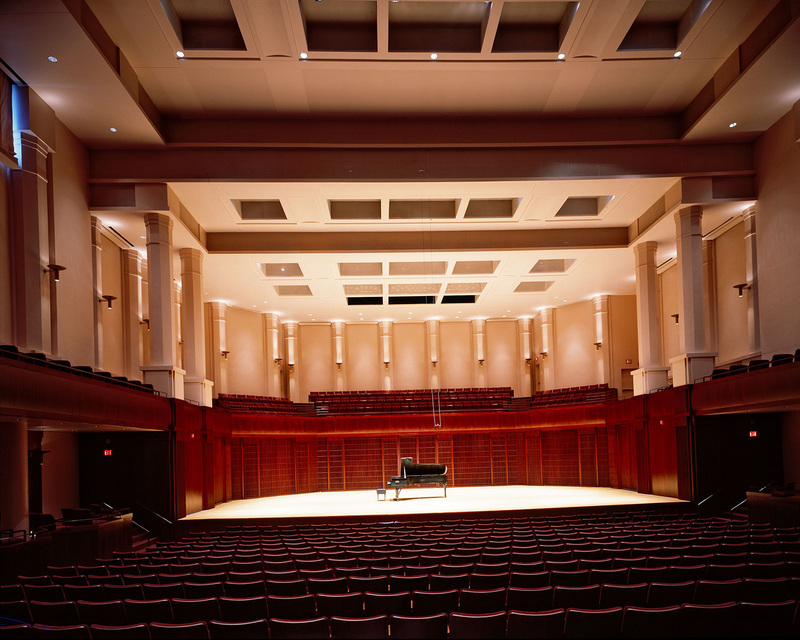 The rich wood color of the lower hall and the rhythm of light-colored pilasters and coffers in the upper hall create a warm, intimate atmosphere in the concert hall. 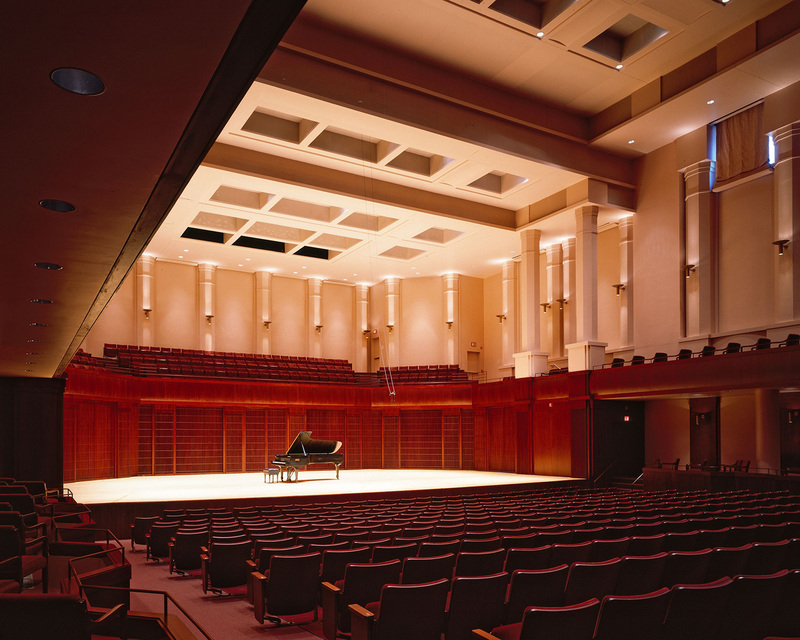 This ambiance, combined with the superior acoustics of the room, results in a truly special musical experience. 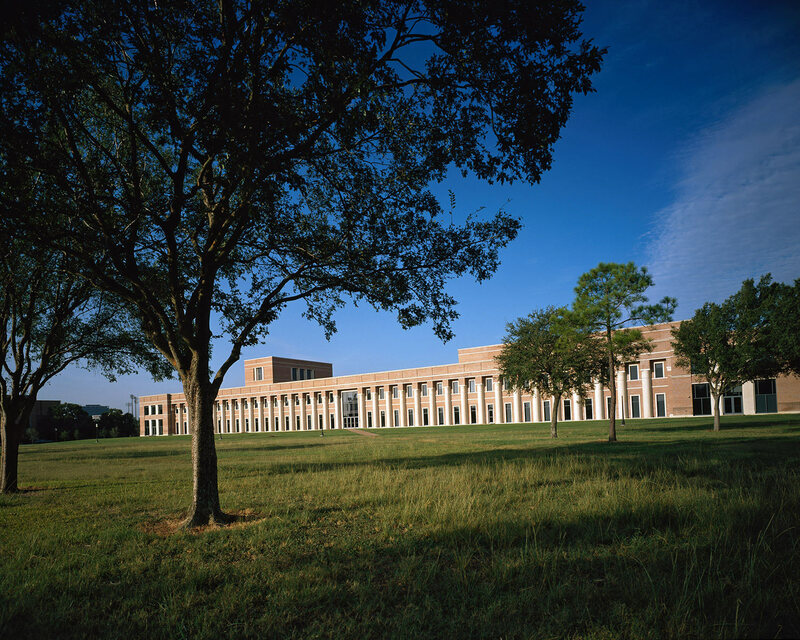 Shepherd School is the first of three buildings constructed in a 10 year period on the west side of the Rice campus to create a new academic quadrangle. 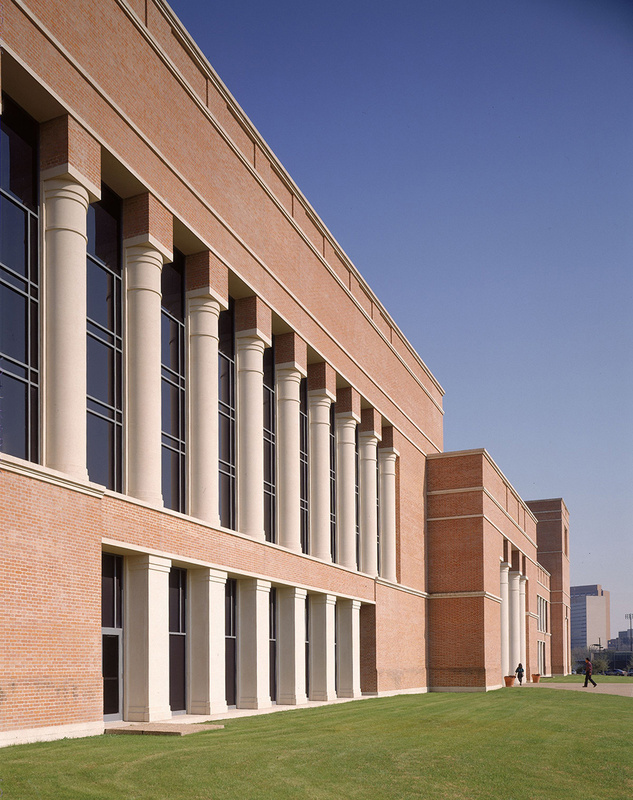 The formal composition of the Shepherd School’s façade, with rose brick and a gently curving colonnade of two-story high limestone columns, serves as the western termination of the new quadrangle.